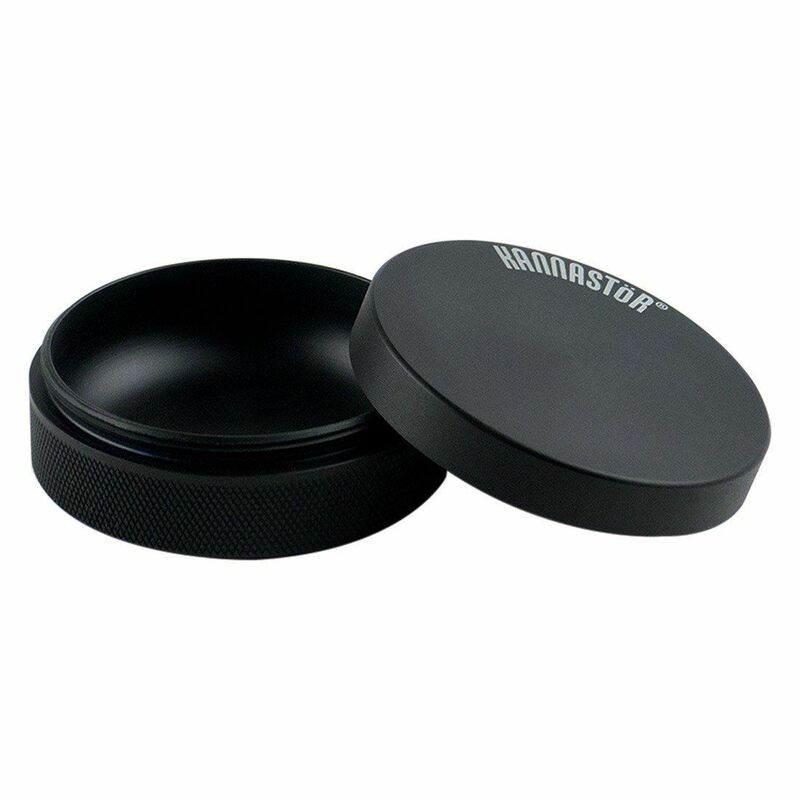 The 2.2 Inch Kannastor Black Series Storage Puck Container is Kannastor's innovative travel container that is designed to pair to all 2.2 Inch Kannastor Multi-Chamber Grinders. 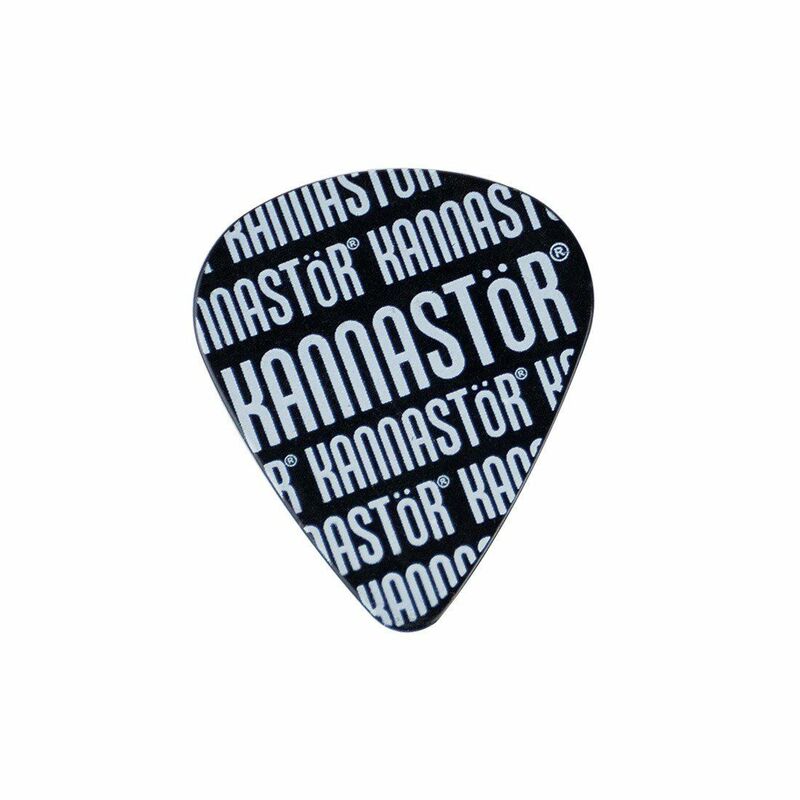 Remove the top lid from this slim pocket puck and thread the base into the bottom of any Kannastor 2.2 Inch 4 Part ginder, this allows you to grind directly into to the container to minimize waste/mess. It sports the same high grade 61/60 hard-anodized aluminum construction as their lineup of grinders do, this material is 100% food safe and also quite durable. The internal compartment features a deep polished base with rounded edges that help to ensure you are getting the absolute most out of your material. Forget about picking away at those hard to reach corners to reclaim any of your material jammed inside, simply use the included tool to scoop every last bit out with ease. 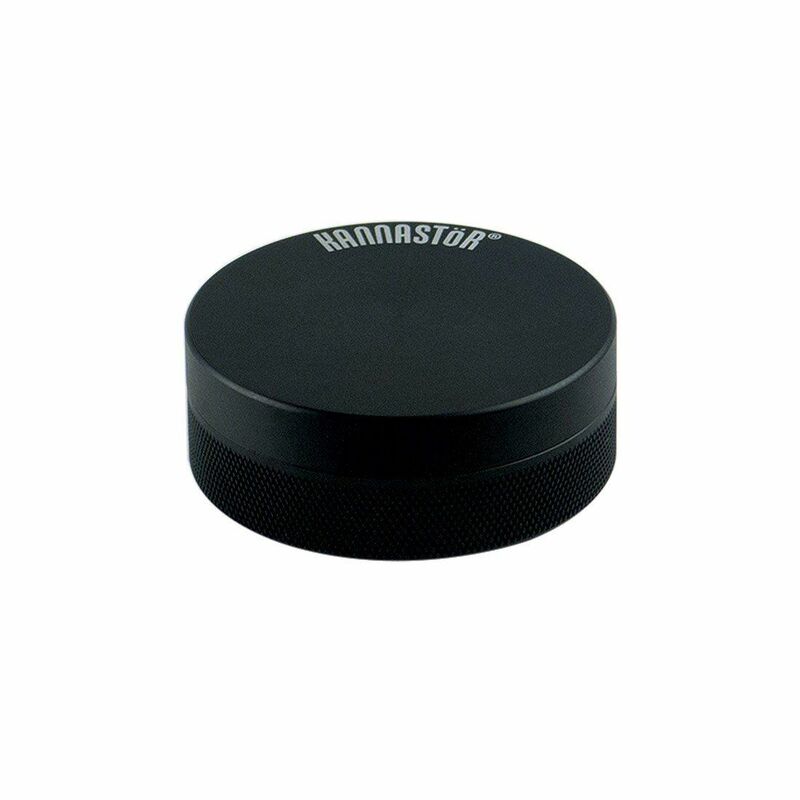 The Kannastor Storage Puck Container in Black measures in at about 0.75" tall by 2.2" in diameter, leaving you with a pocket-friendly container that is great for discreet travel on the go. Stash your material, throw it in your pants pocket and get a move on without the hassle of a giant grinder weighing you down everywhere you go.